Joseph's 'Templer' midi skirt reminds us of styles worn in the '90s, but the asymmetric silhouette gives it such a modern look. 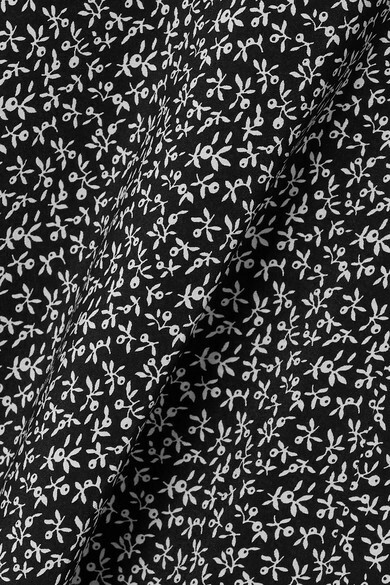 Cut from fluid silk crepe de chine, it's patterned with a retro floral print and trimmed with delicate lace. Take inspiration from the label's lookbook and wear yours with a turtleneck sweater. Shown here with: Monse Sweater, Wandler Shoulder Bag, The Row Loafers.